The Grand Floridian's Gasparilla Island Grill reopened following a two month refurbishment. Changes to the restaurant are minimal, since a major refurbishment was done just a few years ago. An updated menu, along with Coca-Cola Freestyle machines are among the main guest facing changes. Gasparilla Island Grill is open 24/7 daily, with hot breakfast until 11:00 AM, and made-to-order items until 11:30 PM. Outside of that timeframe, grab 'n' go items are available. Disney Theatrical Productions will bring a showcase of favorite music and Broadway talent to the America Gardens Theatre stage as part of Epcot International Festival of the Arts. January 13-16 and 20-23, 2017: Ashley Brown and Josh Strickland performing songs from: Disney’s Beauty and the Beast, Tarzan, Mary Poppins and The Little Mermaid. January 27-30 and February 3-6, 2017: Kerry Butler and Kevin Massey performing songs from Disney’s Beauty and the Beast, Tarzan, Newsies and Aladdin. February 10-13 and 17-20, 2017: Kissy Simmons and Alton Fitzgerald White performing songs from Disney’s The Lion King, Aida, Aladdin and The Little Mermaid. Performances will be 5:30 PM, 6:45 PM and 8:00 PM Friday through Monday of each festival weekend. 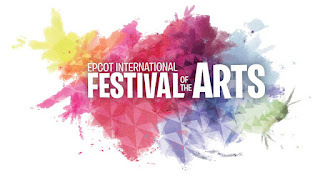 Elsewhere in Epcot, Future World Plaza will also be filled with a variety of other visual and live performances including Epcot Living Statues, performances by Central Florida high schools and acclaimed university and college talent appearing through a partnership with Disney Performing Arts. Epcot’s American Music Machine will perform on the Future World Fountain Stage. Disney has confirmed that the Magic Kingdom Welcome Show will move from the front of the park to the Cinderella Castle stage. Beginning January 9, 2017, guests will be allowed to enter the Main Street, U.S.A. area of the park earlier than the park's scheduled opening time for shopping and breakfast at the Main Street Bakery. The park's current Welcome Show takes place on the Main Street Railroad Station. More security screening has made the entrance area of the park increasingly crowded, and the existing Welcome Show causes significant crowds to gather at the entrance. Besides the additional shopping and dining time, the move should help to alleviate some of that congestion, making arriving at the park a more pleasant experience.